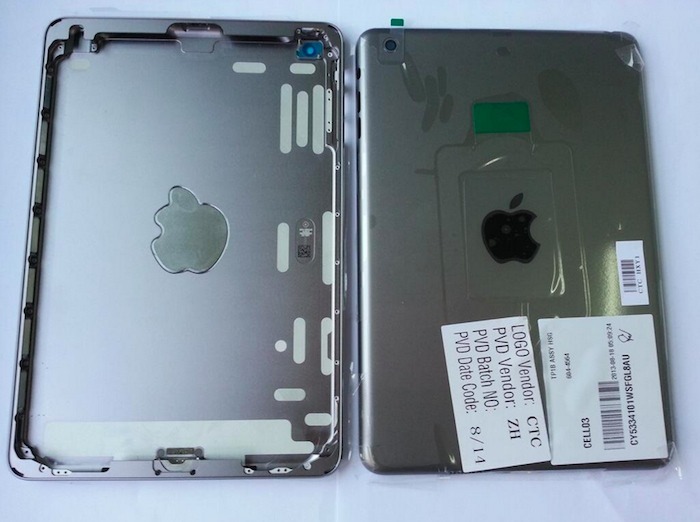 Just the other day, we posted leaks about the iPad 5 being in the production line and ready to be launched by the end of this year, we got our hands on few other photos showing the iPad Mini 2 this time. iPad Mini 2 was subjected to be released alongside iPad 5 but reports suggest that due to the lack of availability of parts, it might not be released this year with iPad 5. So it looks like Apple is rolling out new colors for all of its devices. 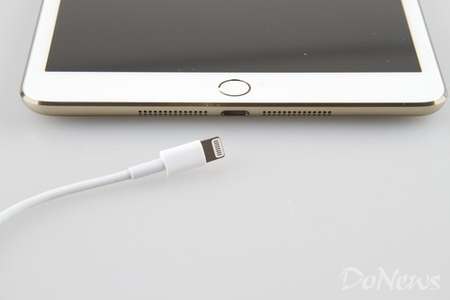 The images that leaked online showed the iPad Mini 2 in champagne gold and space grey color. 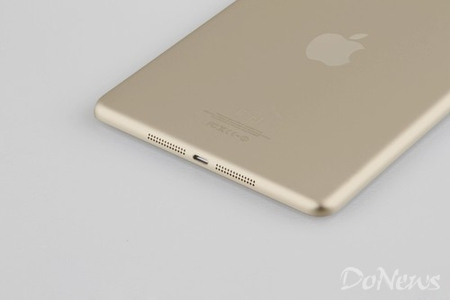 The gold colored iPad Mini 2 looks exactly the same color like the iPhone 5S. 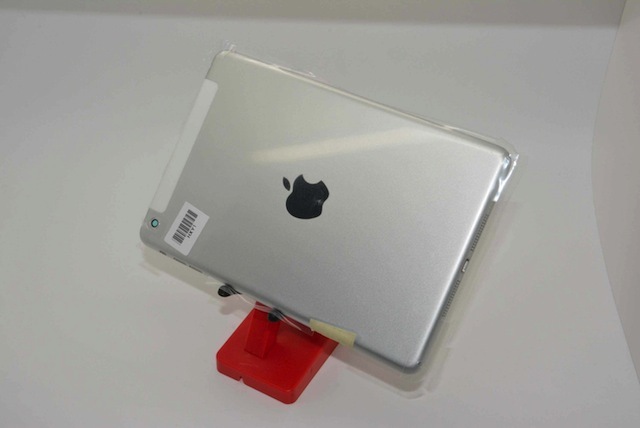 We also got reports that the iPad Mini 2 will have Touch ID sensor similar to that of the iPhone 5S. The grey color of the iPad Mini 2 is the same color that we saw in the iPad 5 photo leaks yesterday except the only change in this model is the Apple logo being retained to its original black color. iPad Mini 2 is still quite far away to be released in the market and so we got very little information regarding its technical side. It is said that the iPad Mini 2, like iPad Mini 1, will have a retina display while the iPad 5 is said to have retina as well. 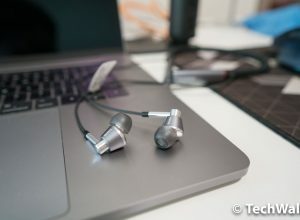 Another major factor contributing to the fact that iPad Mini 2 might not be released this year is that according to the his iSuppli’s supply chain, the retina display at Apple is not sufficient enough for the iPad 5 and the iPad Mini 2 and that Apple might not be able to fulfill the required units for the iPad Mini 2 if they choose to complete the iPad 5 orders first.